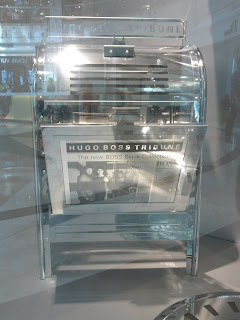 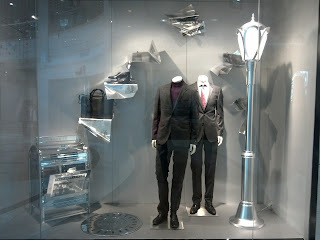 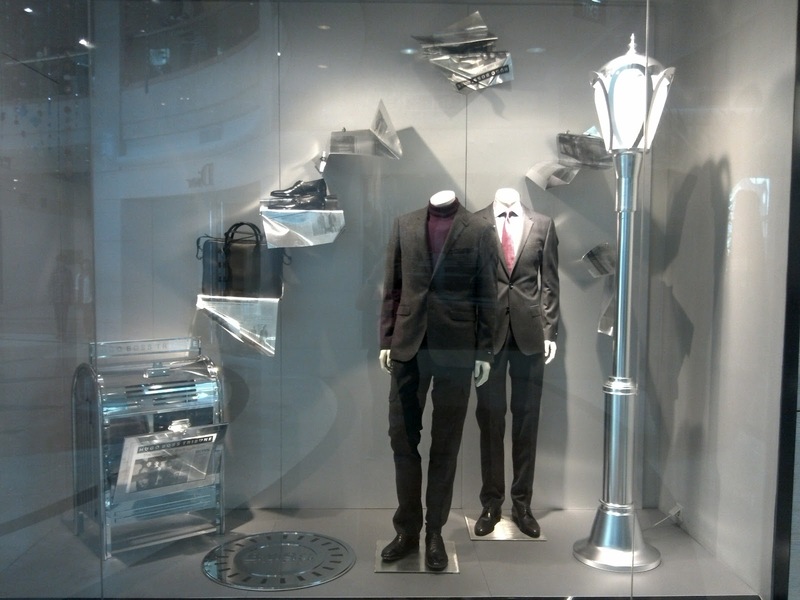 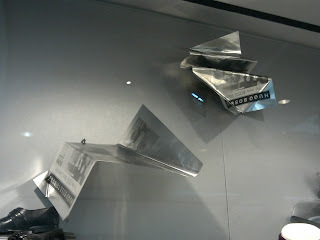 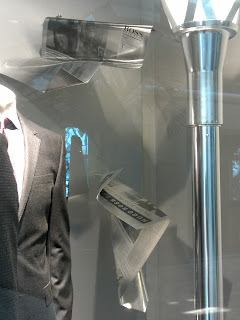 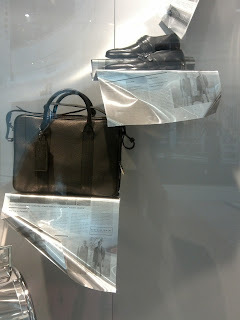 There are newspaper flying on the air inside the Boss Hugo Boss window display. This shiny silver metallic color newspapers are made of metal material. Observe it closely and find that these newspaper is the Hugo Boss Tribune, a newspaper that talk, of course, about all things Hugo Boss.